Ever feel that pins and needles sensation? Maybe it feels like a tingle, or a shock, or even burning. Many people do—in fact, perhaps 20 million Americans or more experience some form of the “pins and needles” phenomenon at least occasionally due to damaged nerves in their toes, feet, and legs “misfiring,” sending confused signals to the brain. With the triple-digit-temperature season already upon us, you certainly don’t need to add burning feet to the equation! 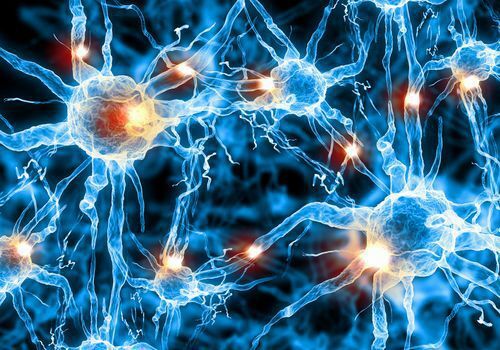 There are many different types of nerve damage (broadly categorized as peripheral neuropathy), with just as many underlying causes. Some appear only as mild, temporary sensations that disappear as quickly as they come; more severe cases may be chronic and bring anything from severe pain, hyper-sensitivity to touch, or even total numbness. The vast majority of peripheral neuropathy cases are related to either diabetes or alcohol abuse. Alcohol damages nerves directly, while diabetes (especially when poorly managed) deprives your nerves of nutrients due to restricting circulation. That said, the complete list of suspects is much broader, including things like kidney disease, nutrient deficiencies, infections, consumption of toxins, hormone imbalances, and other problems. Of course, it could be a physical obstruction that’s putting you on pins and needles. Nerves can become entrapped, compressed, or pinched due to inflammation, repetitive motions, or other injuries. In such cases, decompression surgery may be required to “release” the nerve if rest and avoiding repetitive activities does not provide relief. If you notice tingling, numbness, or burning in your toes and feet that isn’t just a side-effect of the Coachella Valley summer sun, call Harvey Danciger, DPM for evaluation. A proper assessment of the type and causes of your nerve damage is crucial in developing the best treatment plan to relieve pain, improve nerve function, and prevent the progression of damage. Dial 760-568-0108 to set up your appointment at our Palm Desert office.